As a Faculty Club member, you may make full use of the Club’s extensive facilities for personal occasions or professional meetings of all kinds. Banquets and receptions may range from small events to elaborate feasts. Events may be held in any of the Club’s private rooms. Full food* and bar service are available. *Halal food items are also available. Please contact us for details, thank you. Members may choose to celebrate such special occasions as Weddings, Anniversaries, Retirement Celebrations, Birthdays, Bar/Bat Mitzvahs and Celebrations of Life at the Club. Our excellent staff will assure that your event will be an occasion to remember! Hosting a meeting or conference? We offer all-day packages. I cannot tell you how perfect the Faculty Club is for our departmental meetings and events. The offsite departmental meeting we held yesterday received rave reviews in part due to the location on campus and the exceptional quality and level of service you provided. The Faculty Club is perfectly situated for events. The Wedgwood dining room served as our primary function room with the lounge as our coffee/lunch area and the upper dining room was a great breakout room. The food was fantastic and your staff is professional, detail oriented, accommodating, attention to the smallest detail and eager to make our event a success. 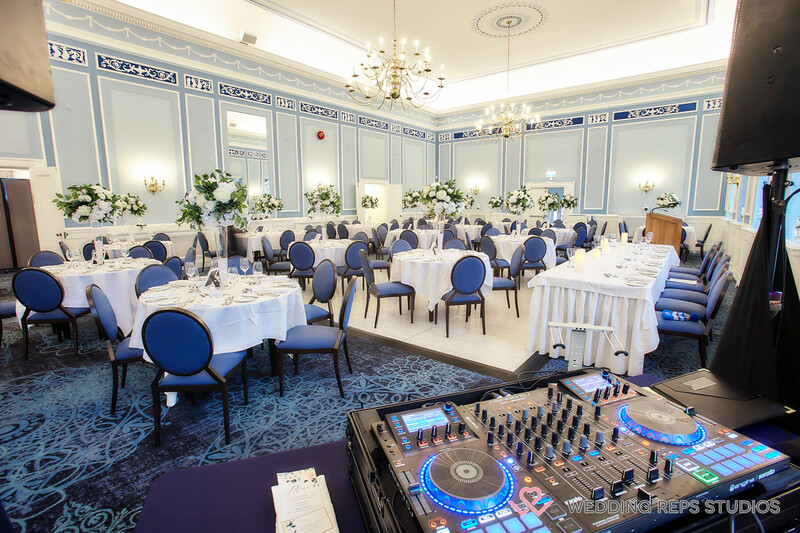 The other item, I should mention, was the cost - it was very cost efficient to hold our event at the Faculty Club - I did get quotes from several other establishments around UofT and the Faculty Club was our first choice even for a group as large as ours. The entire day was seamless and extremely successful enjoyed by both our faculty and staff. The other annual event that we hold is our year-end reception on the side patio of the Faculty Club -again a space totally suited to our needs and an event our department looks forward to. Please pass my compliments to your staff and chef. It was a pleasure and I will see you in June. On behalf of the Toronto Caucus of the Canadian Federation of University Women (CFUW), I would like to thank you for your assistance and expertise in making our December 6th Annual Memorial Luncheon such a success. In the planning of this event, you met all of our queries with patience and gave us excellent advice as we were moving from our established site for this luncheon into a new experience. From all the comments made by the people in attendance, we are delighted with the setting and the quality of the food and service. You attended to every detail and briefed your staff so that everyone worked together to make our members from the six Toronto CFUW clubs feel welcome. The staff was particularly gracious to our elderly members who had some mobility issues, gestures that were noticed and commented upon by many who were in attendance. We thank you for the wonderful experience due in no small part to your superb organization and graciousness to all. Our committee was very pleased with the event and I hope that we will be working together in the future for more CFUW events. It was a wonderful evening, so very festive and joyful! Wonderful food and atmosphere. Many thanks to you and yur dedicated crew as always! This is a somewhat belated thanks for the terrific 'librarians social' you arranged for our UTFA committee on Wednesday afternoon. Jeff Newman or Christina Santolin-Tooulias may have already been in touch but I wanted to be sure to let you know what a wonderful success the event was. We had a great turnout and everybody raved about the food and the patio (and the weather); it couldn't have been better and we definitely hope to be able to do it again, at the least on an annual basis. The last of our guests to Zachary's Bar Mitzvah left earlier this week but we are still relishing the wonderful weekend. I would like to thank you and the entire staff who worked on Saturday for the extraordinary lunch and hospitality in general. We could not have asked for a more gracious, efficient, and welcoming team to be working with. Our local and visiting guests were so very impresssed, and loved the Club, as did Zachary, Kapri and I. Thank you again for helping us make the afternoon happen as we had wished. Well we had a blast at the dinner on Saturday. Everyone was smiling and talking the whole night long. Special thanks to you for guiding me through all the decisions. And thanks to all your staff...... Tuong did a great job of keeping things rolling smoothly for me. Went the extra mile for everything. Thanks for all the serving staff who had to jostle past the people who were up and talking and bouncing between tables while courses were being served and cleared. They remained cheery and all the food came out hot. And was the food every amazing!! Thanks to the chef and the kitchen staff. From the sushi to the main course through to desert, all the food was so beautifully presented and flavourful. The whole meal carried such elegance! Thanks also the to the doorman, helping with coats and taxis and lost souls!! All 147 of us had a wonderful time, and they are all looking forward to returning to the Faculty club in 5 years!! One-day memberships are available for non-member events. Contact Us for more details. Look no further than the Faculty Club for events! If you are having a meeting or event at UofT - you need to have it at the Faculty Club!